Southampton Independents: Sprinklers: Questions the Council Need to Answer - NOW! Sprinklers: Questions the Council Need to Answer - NOW! After the Redbridge Towers, Shirley Towers and now Grenfell Tower fires, Southampton City Council need to urgently answer the questions below in the bottom of this post. 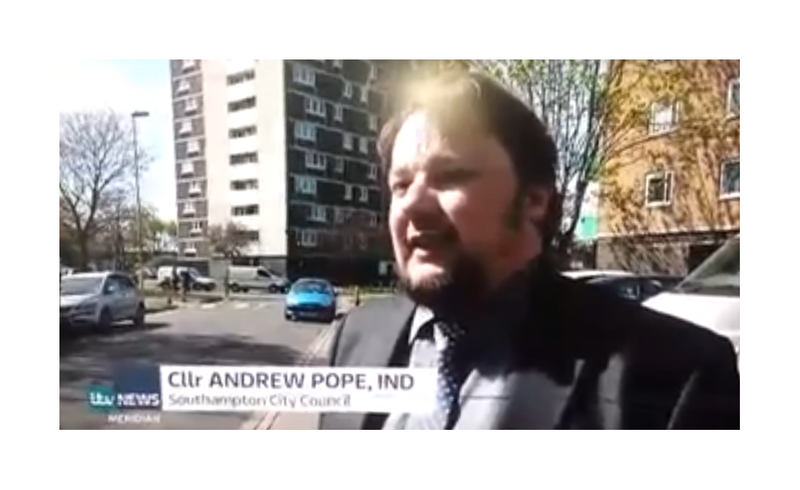 Southampton Independents Councillor Andrew Pope has today asked these questions to the Labour Leader of the Council, Councillor Simon Letts, copying in Cabinet Member for Housing Councillor Warwick Payne. Let's not forget that as recently as April 2017, Councillor Payne dismissed residents' concerns about the lack of sprinklers, which was shortly after the Redbridge Towers fire. Councillor Payne said residents didn't want sprinklers! What a liar! Residents DO want sprinklers. He also said there isn't enough money! That is also untrue. 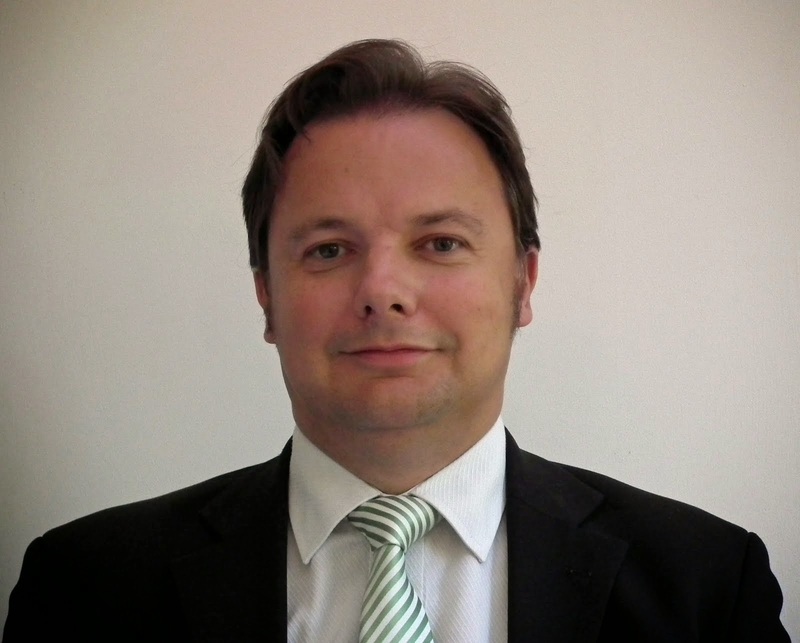 Councillor Payne needs to go, or to be sacked by the Leader of the Council. 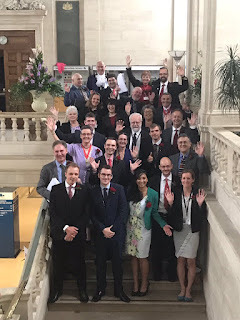 If you want to see what Councillor Payne looks like, he's the one in the second row from the bottom, holding both his hands up, in the below photo. Is it because he is doubly guilty of putting the public at risk by his lies? You may think that, but Southampton Independents couldn't possibly comment! Here are his contact details. Ask him why he has failed to protect residents in high-rise blocks. The Councillor behind him is Labour Councillor Sharon Mintoff. She is paid an allowance to stand up for the safety of Southampton residents on the Hampshire Fire and Rescue Authority - councillors which are supposed to hold the Fire Service to account. When Councillor Pope asked her to tell him what she had done to promote sprinklers - she declined to respond - twice in writing and once in person. Here are her contact details - ask her why she did nothing! It is therefore fair to say that Councillor Mintoff did nothing to promote fire safety in high-rise blocks. Perhaps with the massive response to Southampton Independents supporter Tracy Cutler's petition, with over 65,000 signatures since it was created yesterday, Councillor Payne might now change his mind that residents don't want sprinklers? The petition is embedded on our page here. If you haven't signed Tracy's vital petition, please do so and share it widely. And now perhaps Southampton City Council will change its mind, and fit sprinklers to ALL Southampton high-rise blocks? We will see, when we get the answers that Southampton residents deserve. The Chief Fire Officer of Hampshire Fire and Rescue Service, Dave Curry, is still yet to answer the questions we have asked for months now, and asked again. Firefighters put their lives on the line, but they shouldn't have to if the Council and Fire Service managers like him are doing their jobs properly. What does Chief Curry and Southampton City Council have to hide? They must both be held to account. Help Southampton Independents to do that by asking the same questions of the Leader of the Council. Here are his contact details. Thank you. When you were on BBC Radio Solent this morning, responding to the Southampton Independents campaign with residents for sprinklers in all high rise blocks, you appeared to indicate that money would be allocated for Redbridge and Millbrook Towers. 1. What is this money? 4. When will the works be done? 5. What will the works entail? When I asked Cllr Payne in April about sprinklers, he dismissed the idea completely. He said residents didn't want sprinklers. He also said there wasn't the money. For your information, one of Southampton Independents' supporters T Cutler has created a petition on the topic yesterday. It currently has almost 20,000 supporters and is growing rapidly. 6. Cllr Payne - do you still maintain that residents don't want sprinklers? 7. Why has not a single sprinkler been installed for SEVEN YEARS after the Shirley Towers tragedy, and over TWO YEARS after it was decided to do the 3 blocks? The Council statement sent yesterday confirms this. 8. And finally, I will give you both one last chance - will you commit to installing sprinklers in ALL of Southampton's high rise blocks, and by when?